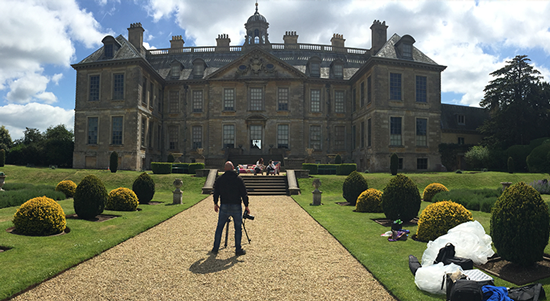 We do not arrive with a disruptive film crew making lots of noise, we pride ourselves on fitting in around your working day. It's ok ! we all get scared in front of the camera. 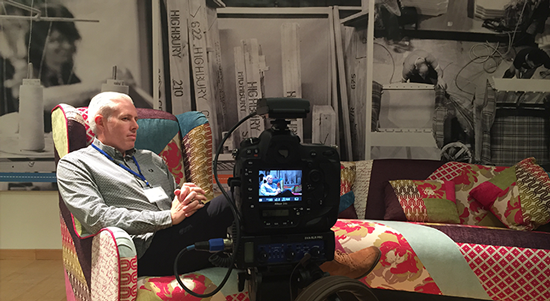 We try to make the interviews as simple as chatting over a brew or having a pint down the pub ! 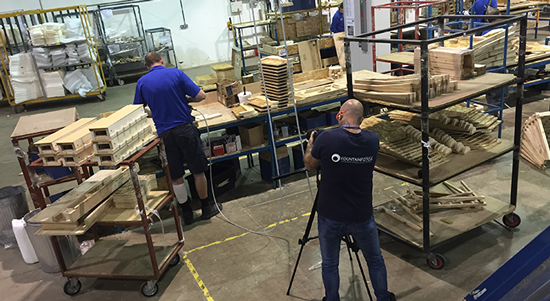 As well as shooting on site we love the challenge of going offsite to film your products at customers or other loctions that will enhance the video. 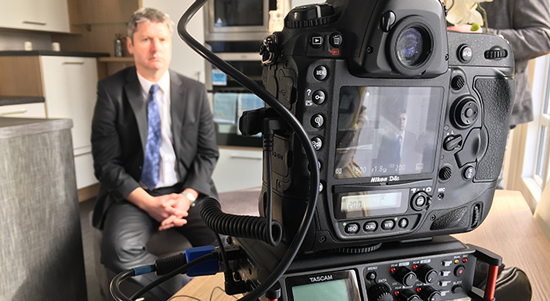 We will capture your brand and personality in the filming, and create a creative video that will reflect your company perfectly. All our videos are crafted with love. With a combination of our advanced camera & editing skills, our ambitious & fearless approach to work, the pride & care we take in every single one of our projects & the extreme attention to detail. We can guarantee that not only will every one of our clients receive a finished product filmed & edited to an impressively high quality, but they will also have a film/presentation that not only meets but exceeds the standards set by today's modern world & constantly changing styles. We have no doubt in our minds that our work will speak for itself. 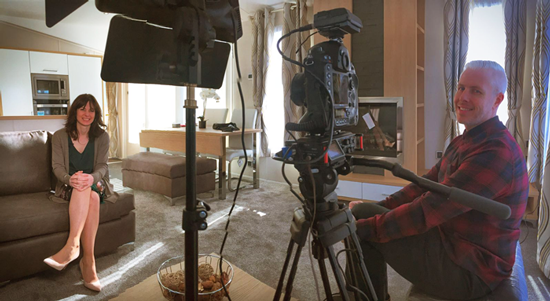 We have produced music videos & documentaries for signed bands, big sporting events such as Ironman, triathlons, golf society days & road cycle races, company promotions large hotel chains and of course the Autodesk Fusion Lifecycle Customer success stories. The clients who choose us to shoot & edit for them do so because they desire unique, handcrafted, stylish films which capture the heart of their projects/products and present them in a visually stunning and modern way. Established in 1946, over the last seven decades the Willerby name has become synonymous with innovative design, stylish interiors, and above all, exceptional quality standards. Our incredible 2016 holiday home range, which includes an exclusive collection from BK Bluebird, boasts no less than eighteen stunning model ranges. Available in a variety of sizes and specifications, there's a model to suit all tastes and budgets, and all park types and locations. 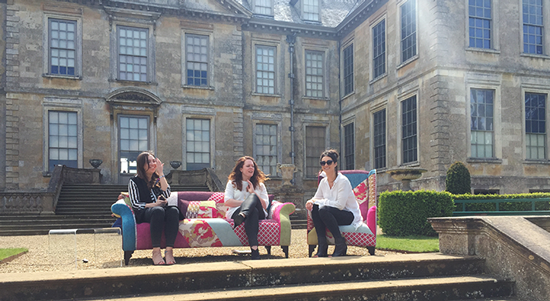 Since 1993, we've made hundreds of thousands of sofas that people look forward to cosying up on when they get in. Our offices and factories are in Grantham, Lincolnshire. QFC are always trying to make their sofas and business even better. One way we go about this is by asking, and answering, big questions. We were the first to do seven day delivery, which we felt was a better answer to the question 'how long should it take to get a sofa?' than the standard 6-8 weeks. We provide engaging, tailor-made creative technical and content solutions for our clients. We're here to help with an experienced and friendly team of designers, engineers and project specialists. We work with clients including EAT, Whitbread, Center Parcs, Showcase Cinemas, Burger King, Canary Wharf Management and Curzon Cinemas, amongst many others. Our work has also been recognised by The Marketing Week Engage Awards, AV Awards, DailyDOOH Gala Awards and InAVate Awards.